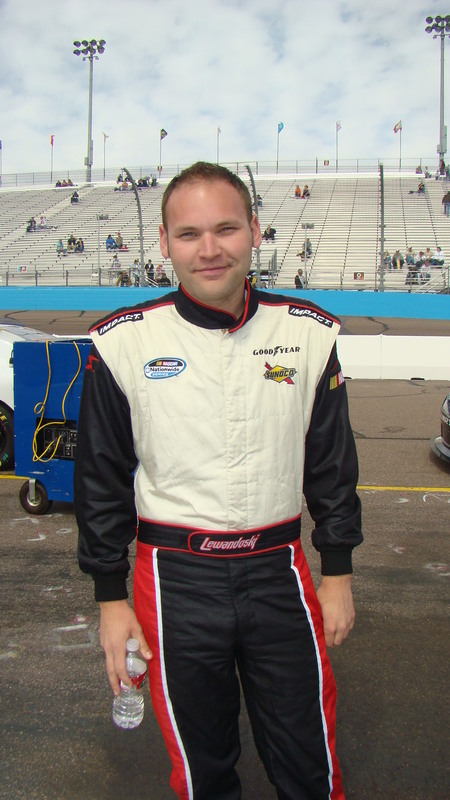 I was sitting in the media center in Phoenix when I received a tip from a friend about an up-and-coming Nationwide driver nicknamed “The Polish Rocket” who I just had to interview. The Polish Rocket? I was weary but I coordinated the time and headed into the garage. What greeted me was a smiling driver standing next to his No. 44 Chevrolet. We spoke at length about his nickname, his Polish heritage, his “ridiculous” love for pizza and why being Eric McClure’s teammate has its perks. Twenty-five year old Lewandoski (or ChaLew, another name he goes by), says it’s all about his Polish roots and his racing. Lewandoski’s car and helmet both have the Polish flag’s Eagle Crest on it. Obviously rooted in his Polish heritage, it was interesting to find out Lewandoski has not been to Poland. However, he knows where to find Polish surroundings in the U.S.
There’s more to Lewandoski than his heritage though. He’s a racer. In 1993, he began racing quarter midgets in his hometown of Stafford Springs, Connecticut. He raced until the late 90s and switched to Sprint Cars, running on the dirt. Lewandoski dabbled in Legends and Late Models and then headed to the K&N East Series. 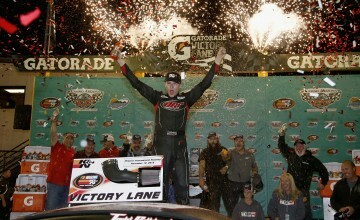 All of that led him to the Nationwide Series, where he runs the No. 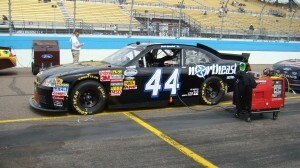 44 for Tri-Star Motorsports. 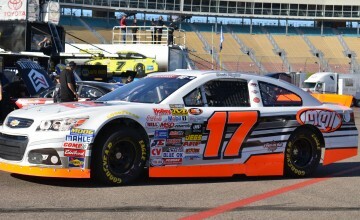 This weekend at Phoenix International Raceway, Lewandoski’s sponsor is Northeast Marine Electronics. It’s his first race of the year and he’s hoping to run more. His teammate, Eric McClure, runs the No. 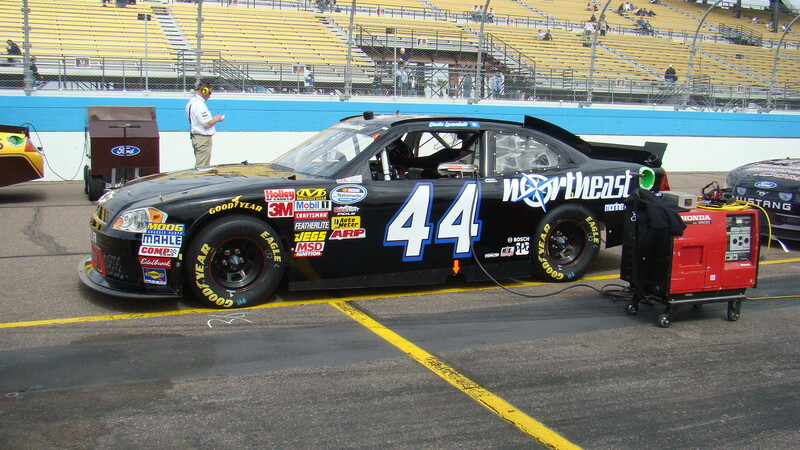 14 Hefty Blackout / Reynolds Chevrolet. Being a racer, a majority of the people around him are involved in racing as well. Lewandoski says other than racing, he likes to “hang around and take little mini trips on occasion to random places.” Plain and simple, he just likes to have fun. With all the talk of Connecticut and racing, it begged the question: where does he live? 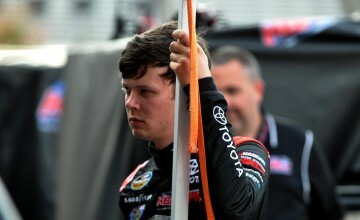 Here at RubbingsRacing.com, we like to get to know more about drivers, so it was time to have some fun with ChaLew. I don’t go to a lot of concerts. I have that Pandora and I have a station set to one that plays bands like Everclear. I like that 90s stuff. Then for more rap/R&B, I like the 2000s/06/07. I’m a real big fan of Ludacris. And I like some country. I like it all. My family is involved in construction. If I was smart I would be doing construction. I’d be doing excavation. A lot of pizza, chicken stuff (nuggets, tenders), frozen french fries and some waffles. In his first start of 2011 at Phoenix International Raceway this weekend, Lewandoski finished 21st. His hopes are to run as many races as possible. He heads to Vegas unsure if he’ll run or not. Learn more about The Polish Rocket by visiting his webpage, Twitter or Facebook page. 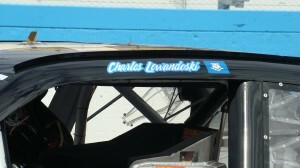 Thanks to Charles Lewandoski for taking the time to speaking with RubbingsRacing.com. Next Story → NSCS: What Caused the Big One at PIR?